In April 2012, Bill successfully completed the Boston Marathon the world’s premiere marathon event in one of it’s toughest and hottest race in its 116 year history. 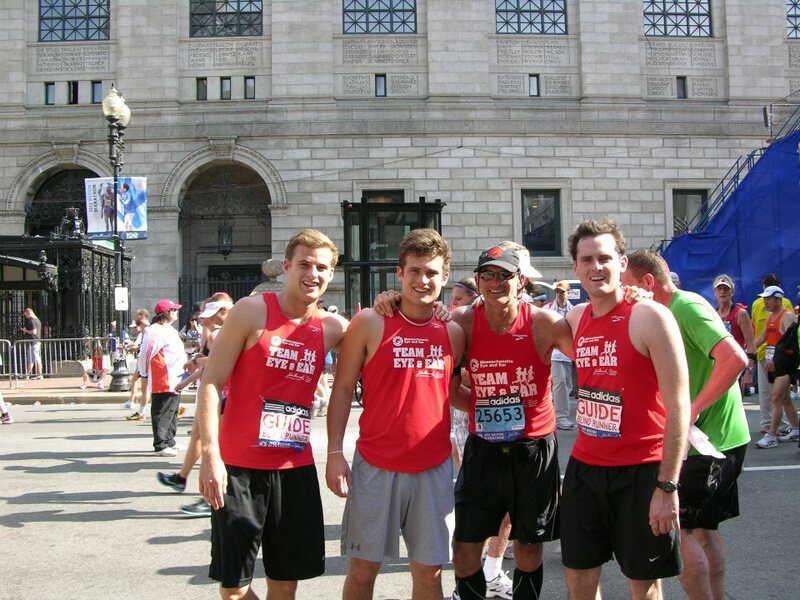 Bill ran in the event with Team Mass Eye and Ear and raised over $400,000 to call attention to Usher’s Syndrome and to raise funds for research into this devastating disease. The 2011 Hear The World expedition theme was Sound Academy: Amplifying The Grand Canyon done in conjunction with Global Explorers, Grand Canyon Youth and the National Park Service http://www.facebook.com/video/video.php?v=10100630722868119. The expedition took 17 hearing impaired and deaf kids from across the U.S. on a trip of a lifetime. The team rafted the Colorado River; hiked slot canyons; collected recordings and data with an acoustical scientist; and learned about the interplay between human beings, wildlife and the rugged Southwest landscape through the world of sound. Post-trip, the student ambassadors are launching a Hear the World traditional and online social media campaign to educate others about hearing loss and sound, including a sound-themed podcast for the National Park Service’s 5 million annual visitors to the Grand Canyon. In 2011, Bill’s adventure projects kept him busy. He climbed Mount Quandary with Erik Weihenmayer and Jordan Romero (youngest person to climb Mt. Everest), competed in the World T.E.A.M Sports - Adventure Team Challenge (http://worldteamsports.org/2011/atc-day2-2011 ), hosted the No Barriers USA Summit 2011 for 600 attendees (http://www.nobarriersusa.org/summits/2011 ) and led his second Hear the World Expedition.